March 26, 2018 By Editor & filed under Uncategorized. Most Apple devices use the iTunes library to store media files and then associated players to play the media (music, movies, etc.). 3. From there, navigate to the folder where the file was saved to and click on the file to open. This will add the file to the “Home Videos” section of the movies library. 4. 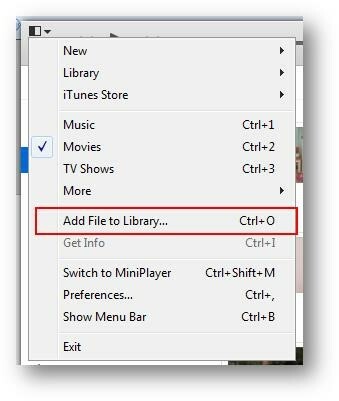 Once the movie files are added to your computer’s iTunes library, you can then sync your device with the iTunes library and then the movies will be available in the “Videos” app on your iPhone/iPad device. 5. To download these files onto a computer rather than a phone or tablet. These files, more often than not, are over 1 GB in size and can take 15 minutes to download. Cell (or wifi on a mobile device) connections are not as stable and could cause errors in the download process.